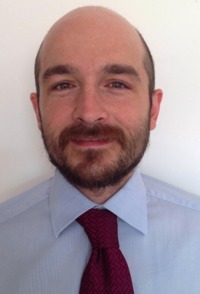 Emanuele Pivetta, MD, MSc is fellow in Epidemiology at AOU Città della Salute e della Scienza di Torino, Department of Medical Sciences, University of Turin, Italy, and PhD candidate in Experimental Medicine and Therapy – University of Turin. After graduating from the University of Turin, he completed in the same city his training in epidemiology, emergency medicine and point-of-care ultrasound (as provider, instructor and course coordinator of the Italian national society of Emergency Medicine). Then he moved to Boston in 2012 for a research fellowship in emergency ultrasound at the Brigham and Women’s Hospital, Harvard University. His interests include diagnostic accuracy and clinical impact measurements, possible sources of variability and bias in clinical epidemiology, and point-of-care ultrasound in emergency and acute care medicine.